So when I discovered that there was a new line of limited edition Lotta Jansdotter washi tape I just had to have some! It comes in three colorways — the hardest part was figuring out what one to get! And of course, while visiting her shop I had to pick up this sweet little sewing kit, too. Can’t wait until they get here! Have you come across any new washi tape that you just “had to have” lately? I’d love to hear! And! I’m on the hunt for neon colors, do tell if you know of a source! hi lisa! i don’t have but 1 washi tape that i bught recently. it’s the black & white polka dots from the Smash book series. these lok so pretty! hope to add to my 1 tape soon! funny you mentioned Pinterest…you got me started and I just got back from helping a friend get started. I have to take it in small doses, too much eye candy can be overwhelming. I will be checking out your washi tape board. awww…. washi tapes by Lotta Jansdotter?? so cool! i love her fabric designs and have one of her books. thanks for the links, Lisa! 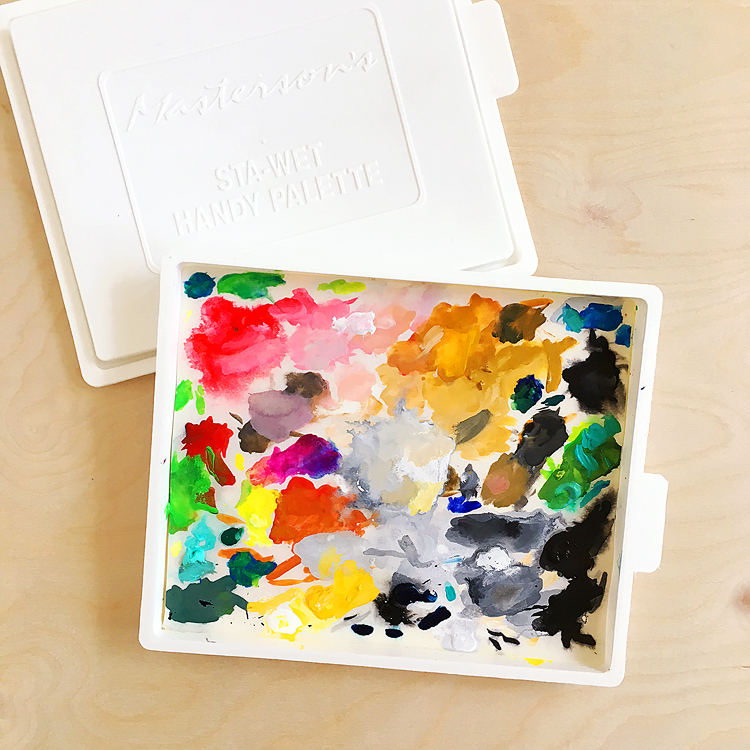 Alice Wertz recently posted..La La Land Crafts Birthday Blog Hop! Hope you are feeling better Lisa. You turned me on to this great stuff, Lisa, and I am having fun using it! I am a new Washi Tape fan. Neon? Seriously?! Thanks for all you do to inspire and make me smile! Maureen Morton recently posted..Let’s Go! Do you have some other good sources for Washi Tape?? I’d would love to know about them-I’m a Jansdotter fan, too! Hi Marci! 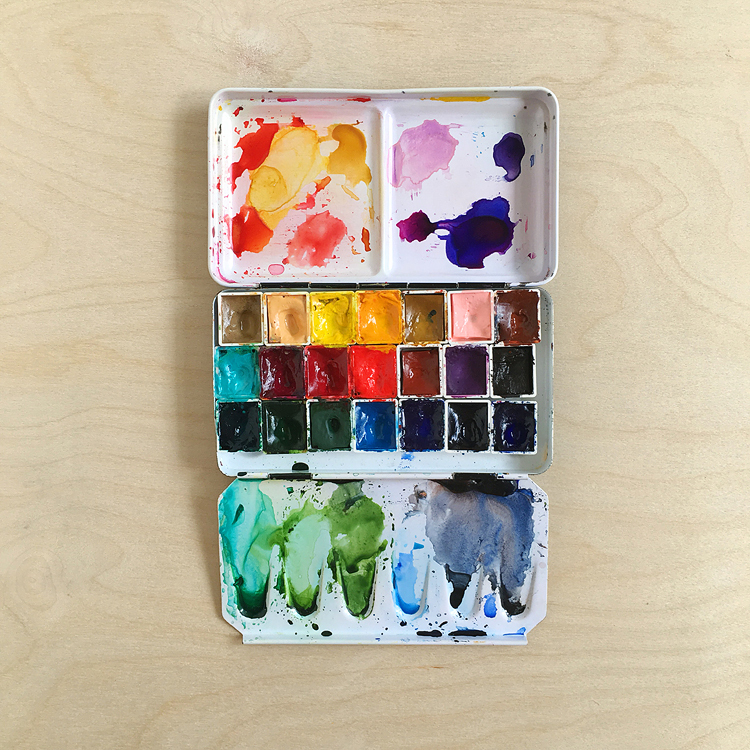 I finally put together a list of where I buy washi tape — it’s all in this post. Lisa, looks like you had fun shopping! The washi tape is so pretty and I love the sweet little sewing kit too! I haven’t come across washi tapes in any shops here – just as well or I’d probably end up accumulating a stash in my craft corner, it’s bad enough as it is! It’s thanks to you that I heard about pinterest and my boards are here http://pinterest.com/heathermariad/ . …both of whom have neon colours I think. 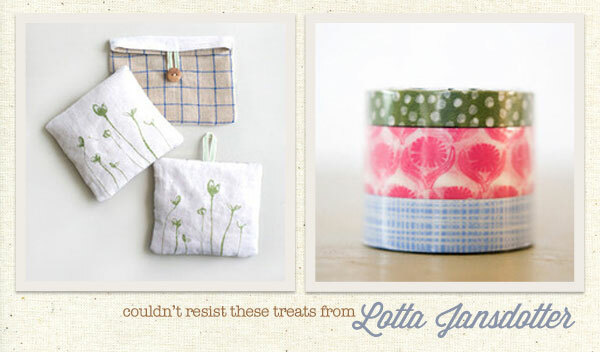 I also love the Lotta Jansdotter…I have the mint and the brown sets…..so pretty!